Doing: February is always a good month in my book, what with my birthday and all. This time around it's been especially wonderful what with have a whole week and half off work and lots of adventures to go on. 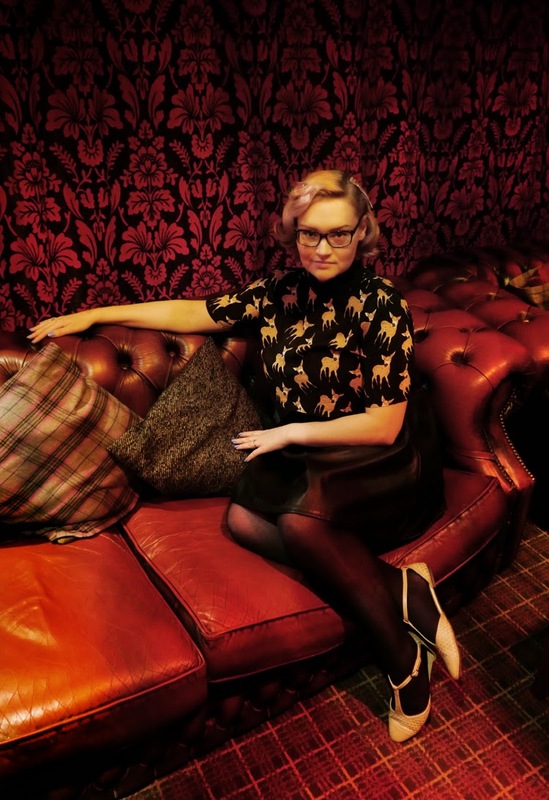 You can read a bit about my birthday fun times here. Since my birthday roller disco trip I've hunting for local places skate. Unfortunately I have found anywhere so decided to opt for some ice skating instead. My sister, Heather, and I ventured to the Forfar Ice World for the first time in years and discovered that skating on ice is much easier than on wheels. Watching: The Sewing Bee is back and I'm getting right into it. I'm not sure how they manage to create anything with such time pressure. 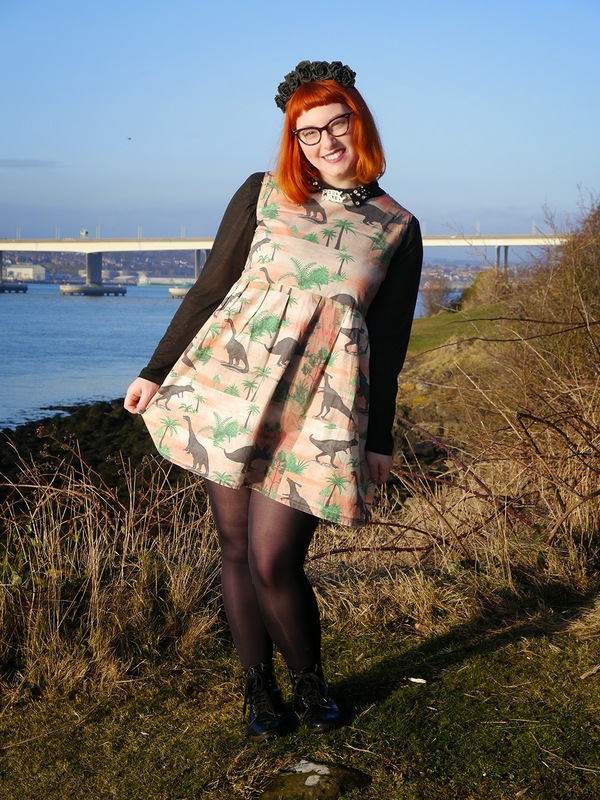 There's no way I would have got through uni if our sewing assignments were timed! Seeing what they come up with has got me itching to dust off my machine and I do have a few project ideas in mind. I'm just hoping I can complete them before me and my machine fall out. It can be a real love/hate relationship sometimes. Buying: I may or may not have bought myself a valentines gift. Ok I totally did, but when Karen Mabon puts on a Vday discount it would be rude not to. 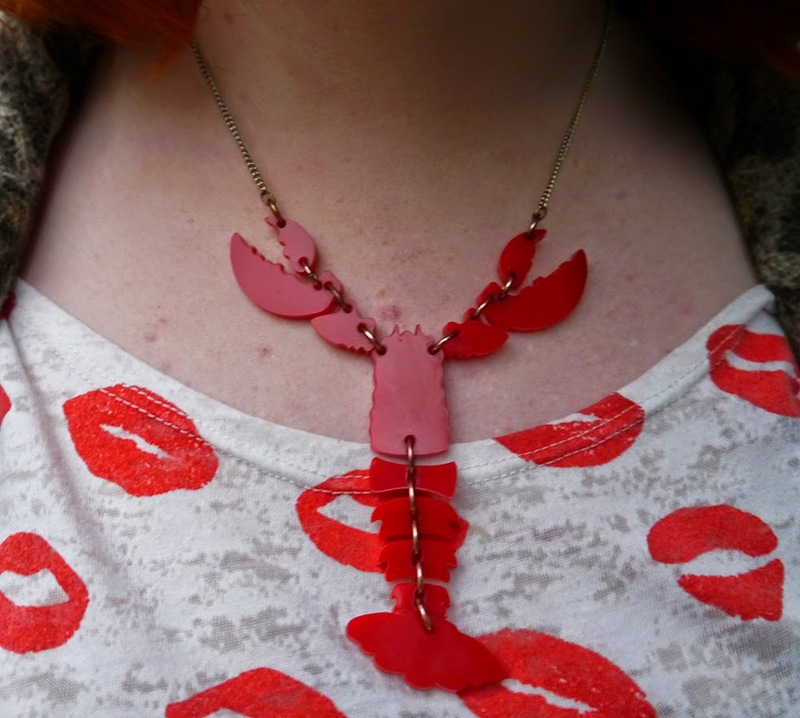 I treated myself to the fabulous flamingo necklace that I've been eying up since she released it onto the world. It is just as fabulous in real life and I can't wait to style it up. 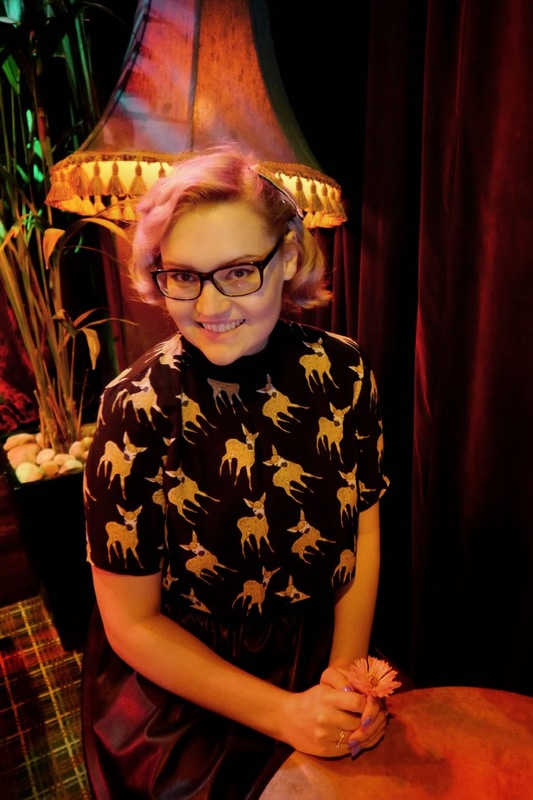 I'm thinking a bird themed shoot and Kimberley can wear her ostrich number, what do you think? Clicking: This Is Edinburgh are organising Edinburgh Fashion Week in March so I've been clicking on their website to find out a more about it. Most of the fashion shows are sold out but there's still plenty of tutorials, pop up shops and other events to get excited about. We're particularly looking forward to the Satisfashion mini tutorials and the Godiva shopping evening. Watching: Fortitude. It's one of those shows that both Tony and I want to watch, but neither of us is willing to wait for the other one to sit down for it. We are watching the episodes in tandem, with yells of 'don't delete it! Gonna watch it later!' It's a strange sort of murder mystery/ drama set in a remote Arctic town. It is a show that requires your attention, with many different storylines being tied together (I think) as the mystery unfolds. Really well worth watching. 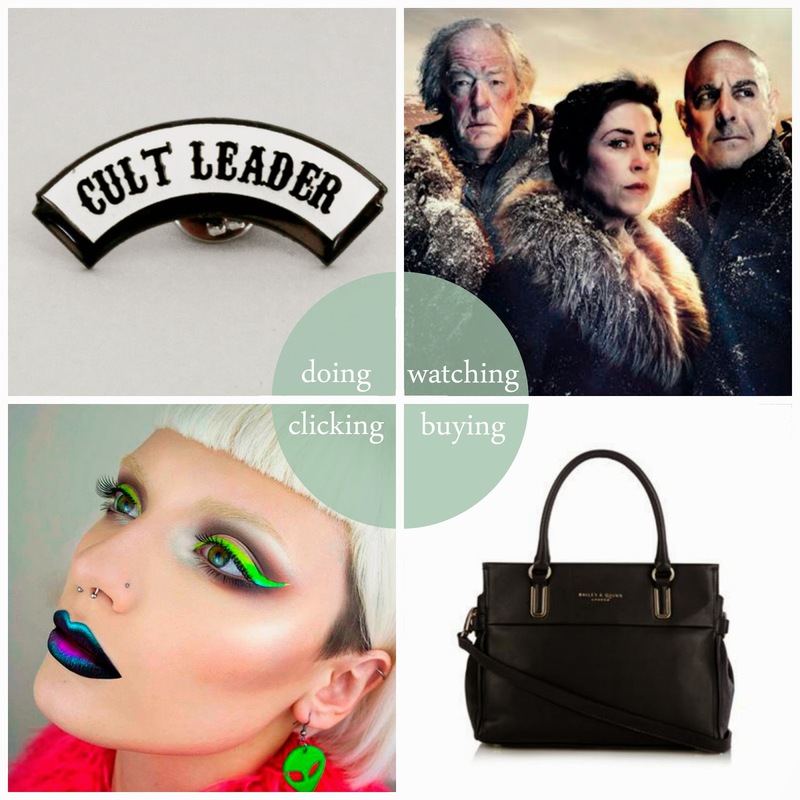 Buying: My Bailey & Quinn bag is my favourite one- the leather is softening up nicely as it ages, it goes with everything and it has featured in a lot of outfit posts since I got it last January. And now I've got a second one! 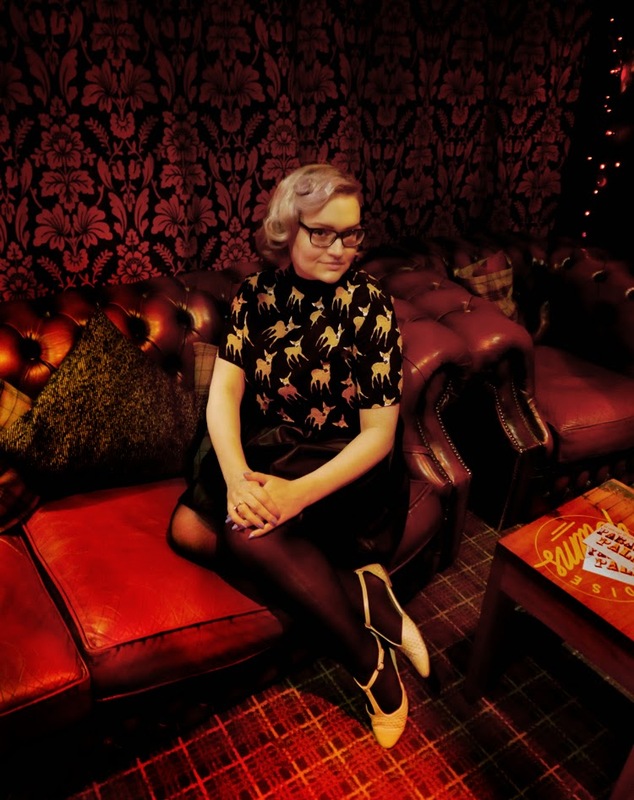 Clicking: I only got a personal instagram account @dressingupwith at the start of this year- I previously just used our Wardrobe Conversations account. It's a bit odd to be starting from scratch but it also pushed me to branch out and look at some new accounts. 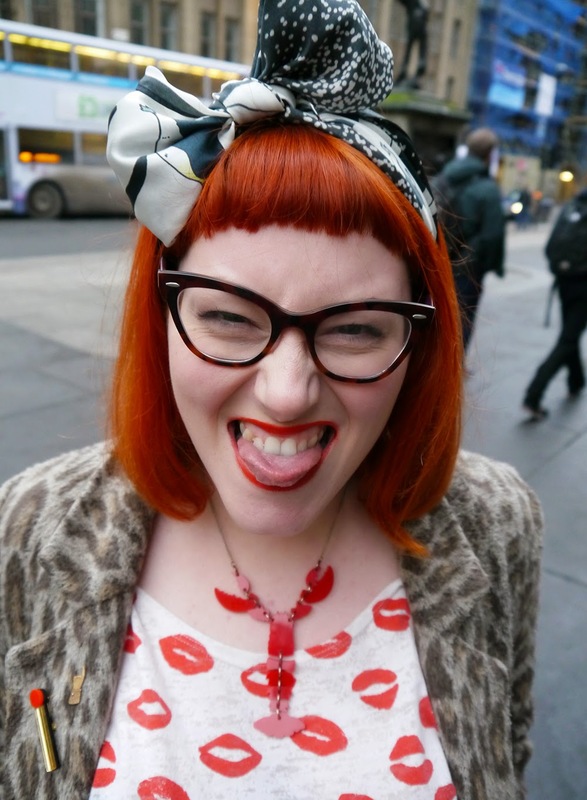 I'm loving the gangsta granny Baddiewinkle ('stealing your man since 1928'), Australian stylist mega babe FashionHayley, unbelievable surrealist makeup artist Pennold (pictured). My favourite insta account though has to be fashion illustrator (and dad to the most photogenic baby twins) Donalddrawbertson. 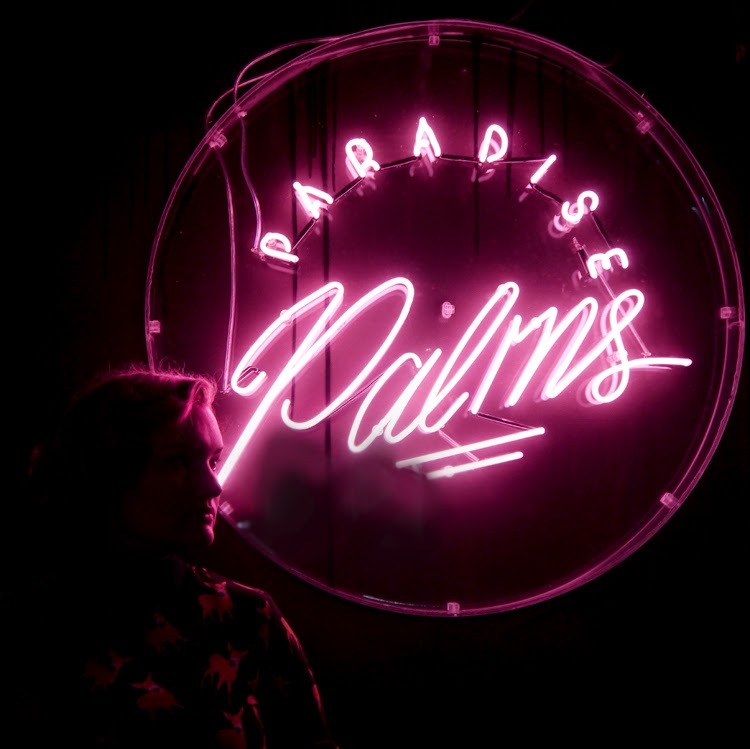 I've found a girl date haven and it's called Paradise Palms. 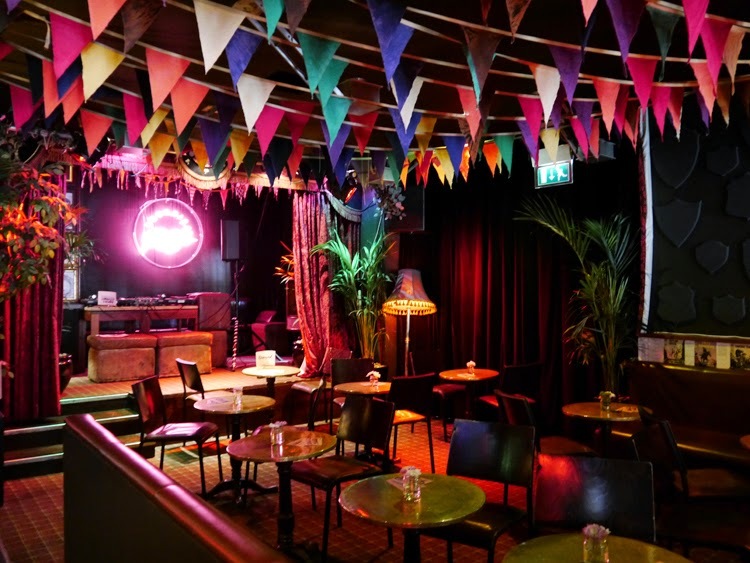 Chic without the shabby, this new retro- feeling dive bar in Edinburgh is perfect for girls day out.Whether you want to hang out by the Elvis pin ball machine, eat ninja buns beneath the neon Paradise signs or hide away on comfy couches behind velvet curtains, it can be 5 o'clock any time! Seriously, blogger babe Miss Vicky Viola and I popped in for a quick coffee to warm up during a vintage shopping trip and ended up having lunch, staying for cocktails and coming full circle to tea again (we are wild). The ninja steam buns are amazing- a Taiwanese style bun filled with your choice of meat or tofu (or in my case fancy fish fingers) with a garlic soy and ginger marinade, served with Thai slaw. It's the first time I've finished the side salad on a plate. So good- nutty and moreish. We upgraded to seasoned fries for more spice but actually the meal was quite well balanced and it was more flavour than heat. Yum! I've been feeling the 60s vibe recently so thought this cute little high neck top needed another whirl. 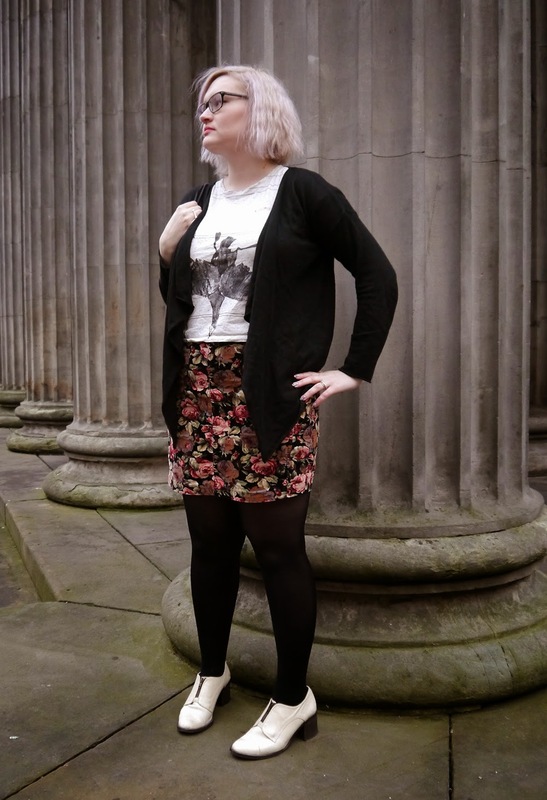 It deserves way more attention than it received layered under my amazing The WhitePepper jumper here. 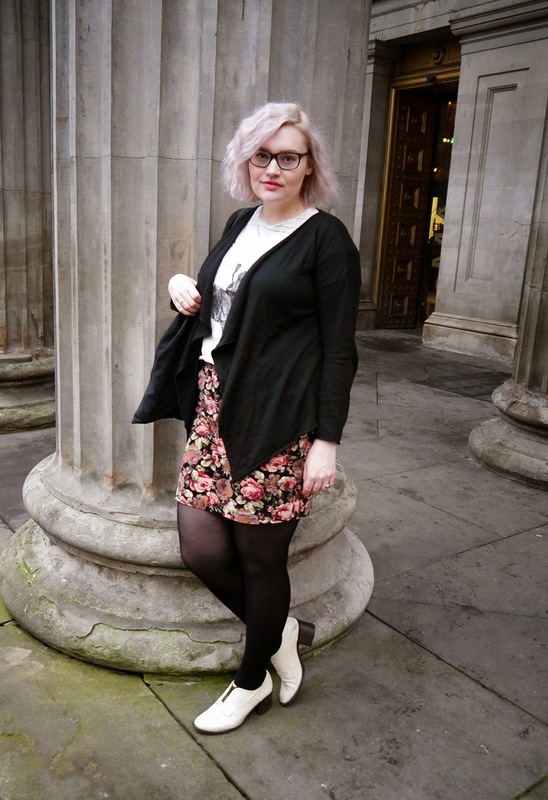 I layered the crop over a full faux-leather skirt to show off my curves and nipped in waist. 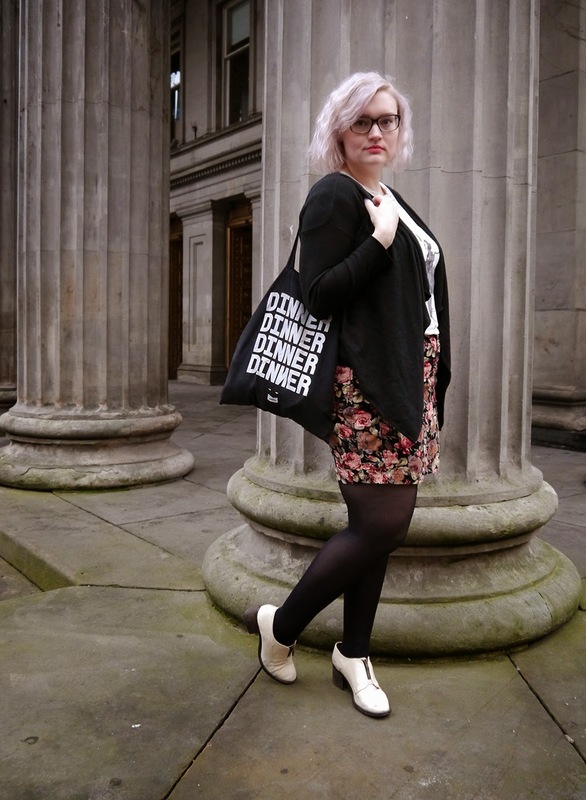 It's heading towards spring and I need to stop schlepping around in oversized baggy bits. 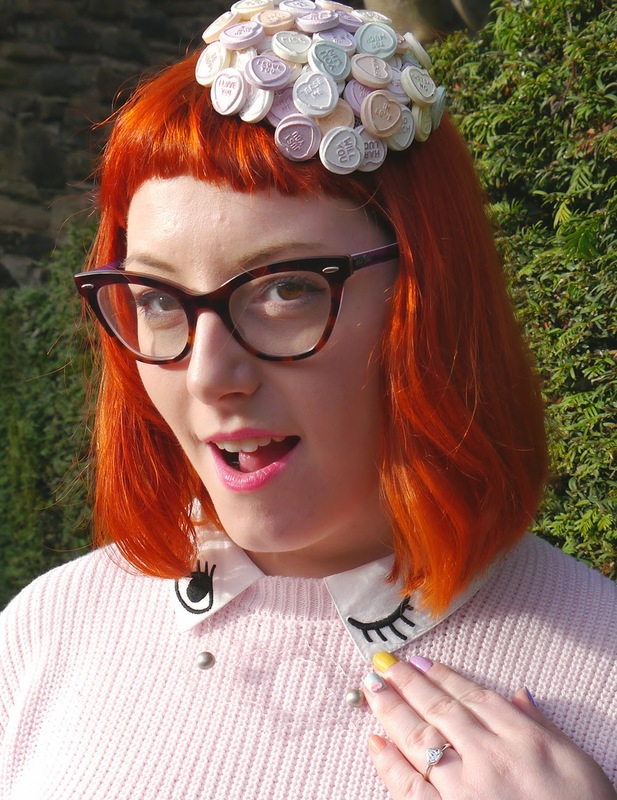 I'd planned to pair it with my recent beehive and big eyeliner flicks but my lilac pin curls were just to good to waste. It's a rare occasion that they stay in, especially with the recent February weather. Definitely time to invest in a wee granny rain hood! I think I've found my new home from home in this bar- see you around? 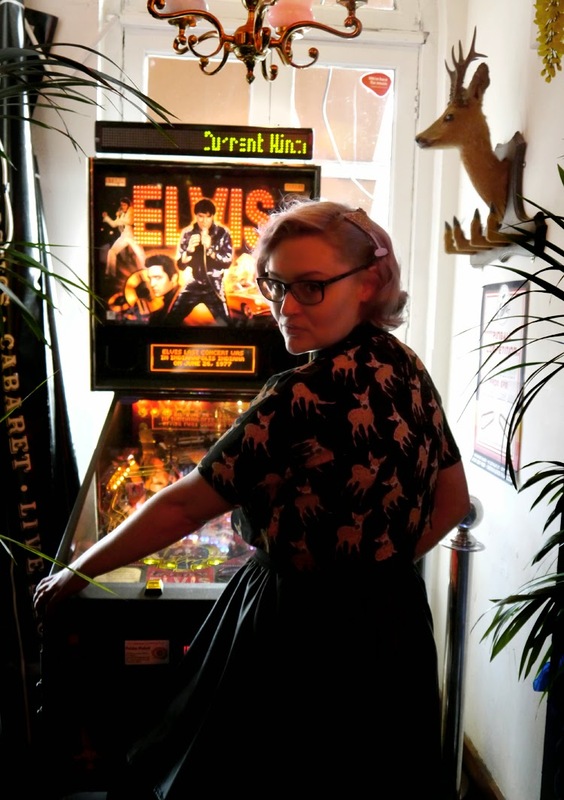 I'll be the one hovering by the pinball machine, waiting for Elvis to tell me how beautiful I am. Uh huh. Thank you, thank you very much. And extra Elvis thanks to my sugar soul mate and photographer for the day, the fabulous Miss Vicky Viola. 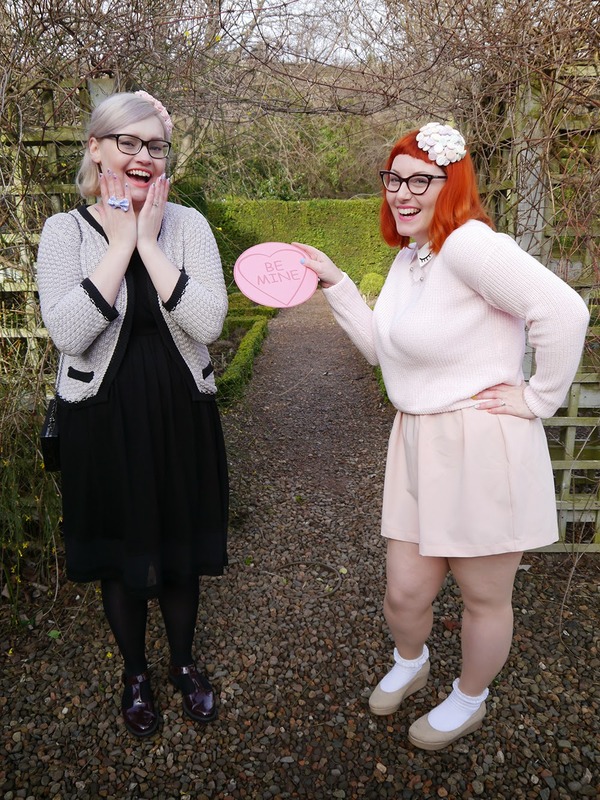 The valentine's shoot we did the other week was fun but here's what I actually wore on Valentine's Day. This is my dinosaur loving gothic child look. Perfect for a romantic day, I'm sure you'll agree. 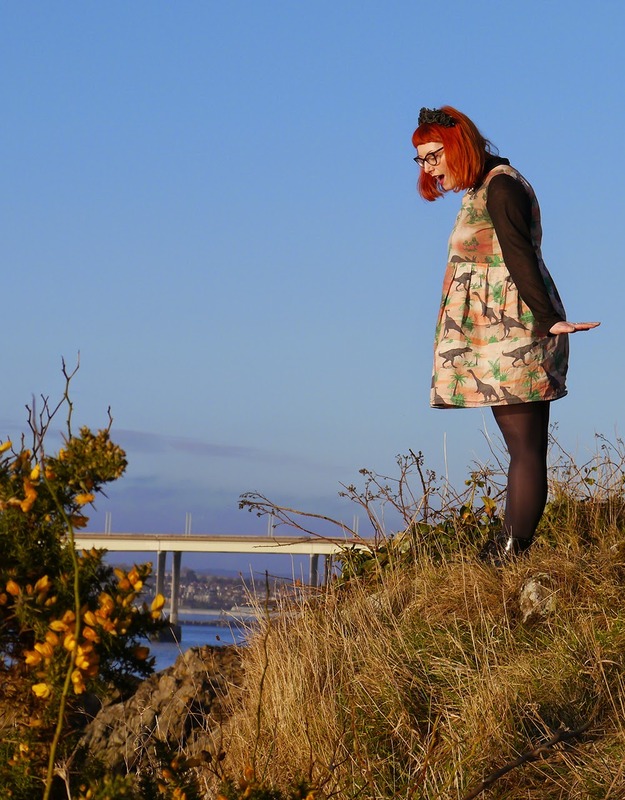 My other half and I ventured across the river Tay and back to Kitschnbake in Newport. After making our first trip there for my birthday we couldn't wait to go back to enjoy some more brilliant baking. This time we had heart shaped jam tarts. How very appropriate for the day. After that we had a little wonder around Newport, enjoyed the sunshine and we finished off our trip with a new discovery. 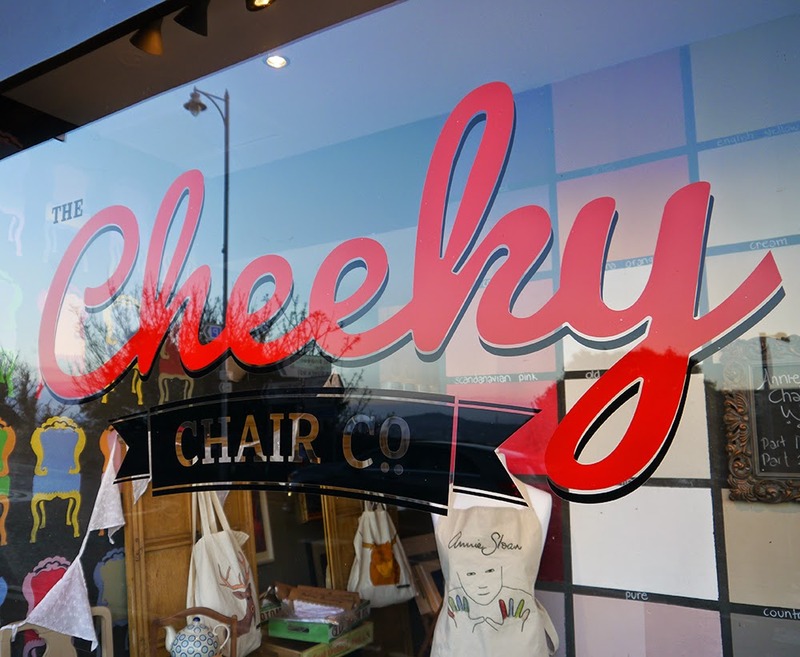 Intrigued by the window display (and name) we checked out The Cheeky Chair Company. This shop is full of lovely homeware and gifts. 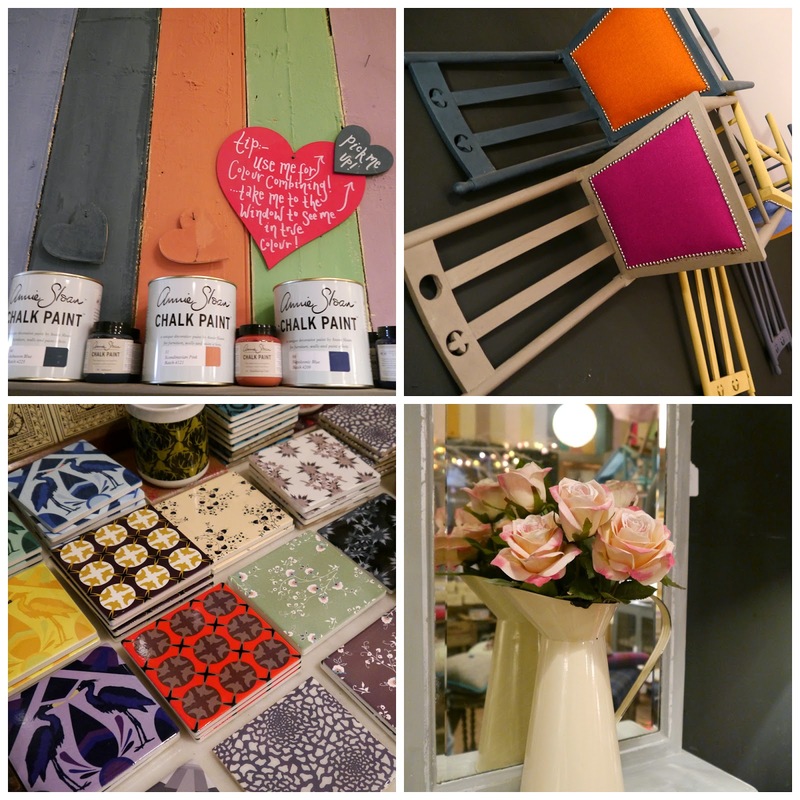 It also stocks lots of beautiful paints and accessories which allow you to upcycle your own furniture and offers workshops on how to do it right. 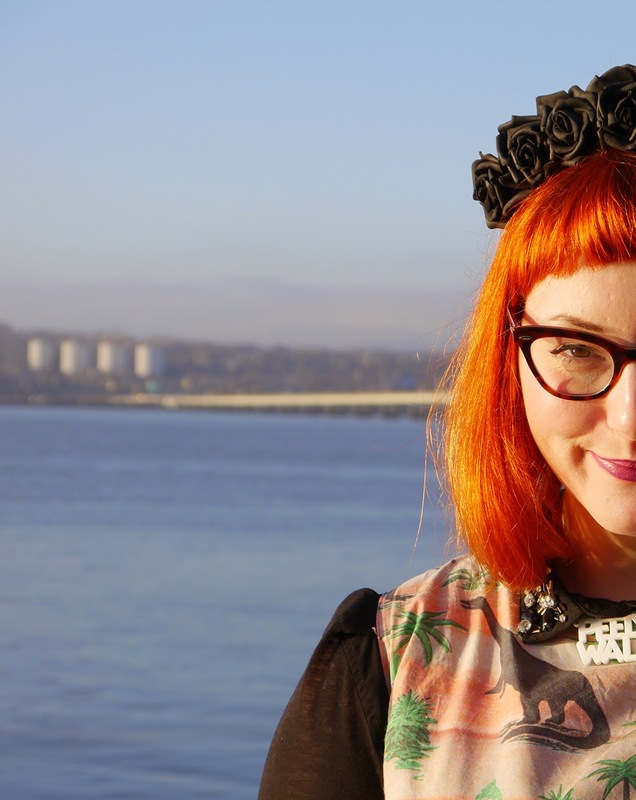 If you're not a fan of DIY the owner, Sally Sneddon, can come and do it for you. We picked up some rather fun book ends and I fell for a full on 1950's dress coat but sadly left it behind. Will definitely be back for everything I need to spruce up my home. 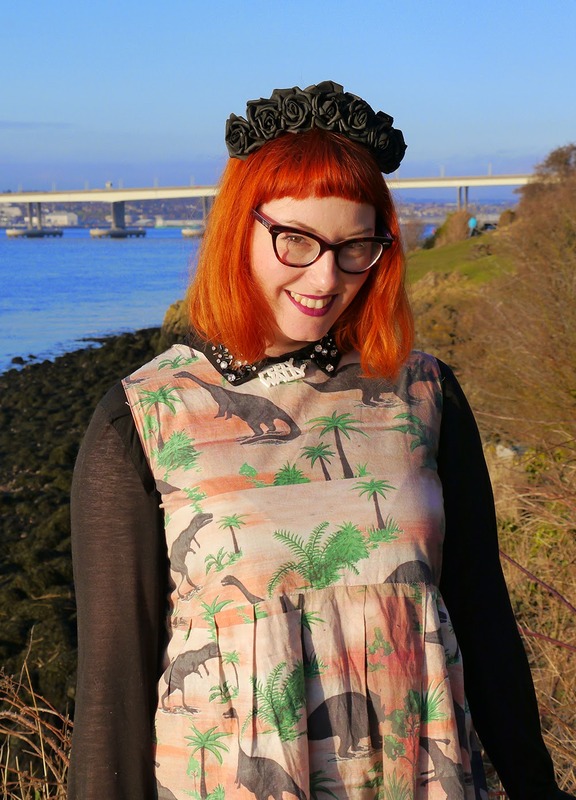 For all this fun and frivolity I wore my Vintage Style Me dinosaur dress...again. It's featured on here a few times but it is just so much fun! Since I removed the sleeves I have really enjoyed layering it with shirts. This time around it was this black H&M number with jewelled collar. I then added some stompy black boots, black tights and topped it all off with some black Crown and Glory. I seriously love this headband. It is so well made and always adds that perfect finishing touch. I really must invest in some more summery ones so I'm all prepared. Next to all that black I felt a tad peely wally so added a very appropriate Bonnie Bling necklace. This was a cheeky wee Christmas gift from Kimberley. It's ok, I do enjoy the pale and interesting vibe. So it turns out I may be a tad more romantic than previously thought. Saying that, we did end our day by watching May. Nothing says you love someone quite like chopping them up for parts, right?! Thanks to Ross for the photos and a for a lovely day. For our trip to Abandon Ship's Kewpie Party I decided to go cute and comfortable, wearing my trusty New Look coated jeans. They are just so easy to throw on and they keep their shape much better than a lot of jeans I've owned in my lifetime. Only problem is they're beginning to look a little worn. Might be time to find a replacement. I hate shopping for things that don't have pattern on! The top is another old staple. I picked it up on sale quite some time ago and it's always a fun print to pull out of the wardrobe (told you I love a fun print). The necklace is also one of my all time favourites. Kimberley got it for my birthday a few years back and it's always my go to piece when I'm in need of a statement red accessory, which is a surprisingly frequent occurrence. I updated my outfit of old familiars with some pretty new pieces I got for my birthday. 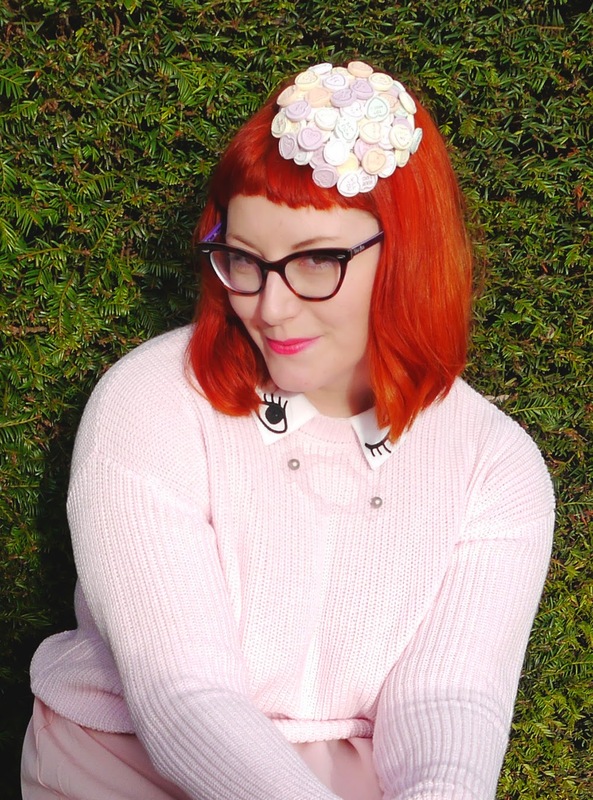 The bright little match brooch was from the lovely Miss Vicky Viola. 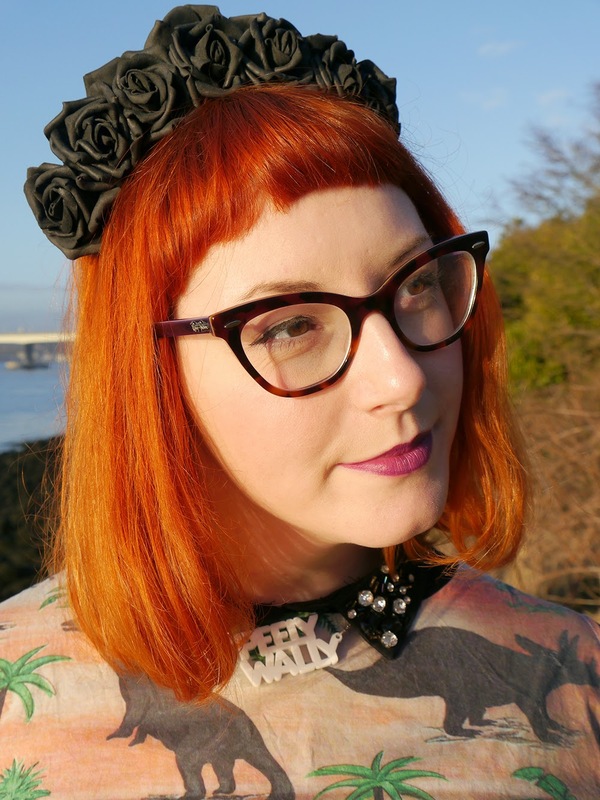 It's by Lou Taylor who creates fabulous acrylic jewellery and prints. The ant earrings that convinced me to get my ears pierced are also by her and are now mine too. What can I say, I'm too good to myself! The only bad bit is that I have to wait 6 more weeks before I can wear them. Luckily I have my brooch to keep me going. And I also have this fabulous penguin scarf that my sister Heather gave me. You can't really see the print but I assure you it's awesome. You can never go wrong with a bit of Karen Mabon, especially where I'm concerned. 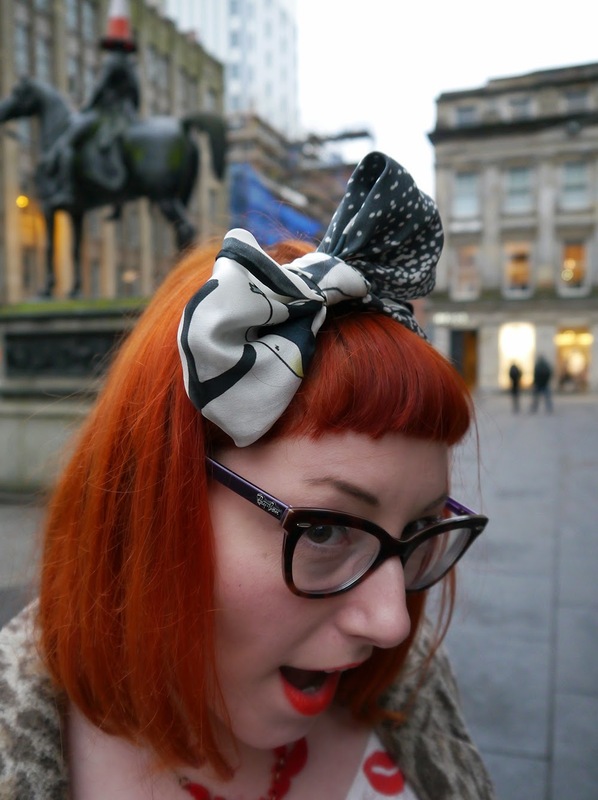 Tying it in a little bow added a cute wee finishing touch that made me feel Kewpie ready. 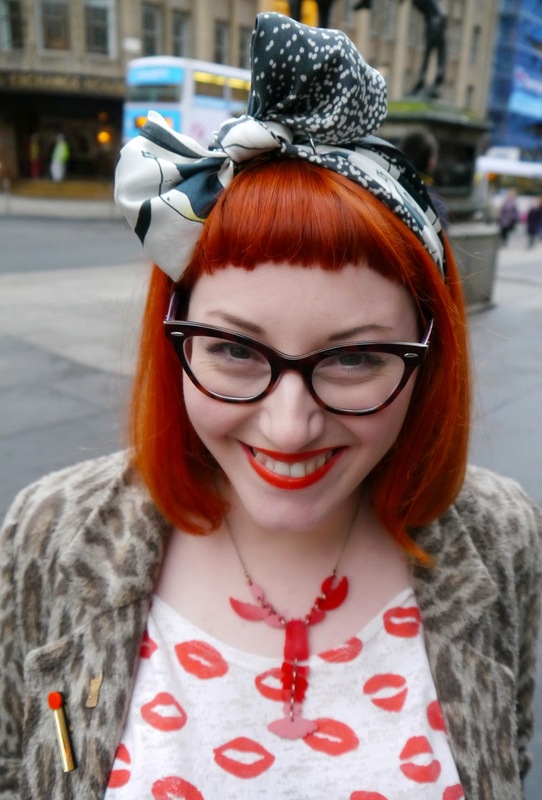 I love experimenting with different ways to wear scarves but I think this method is up there on my list of top styles. What shiny new treats do you use to revamp your wardrobe staples? 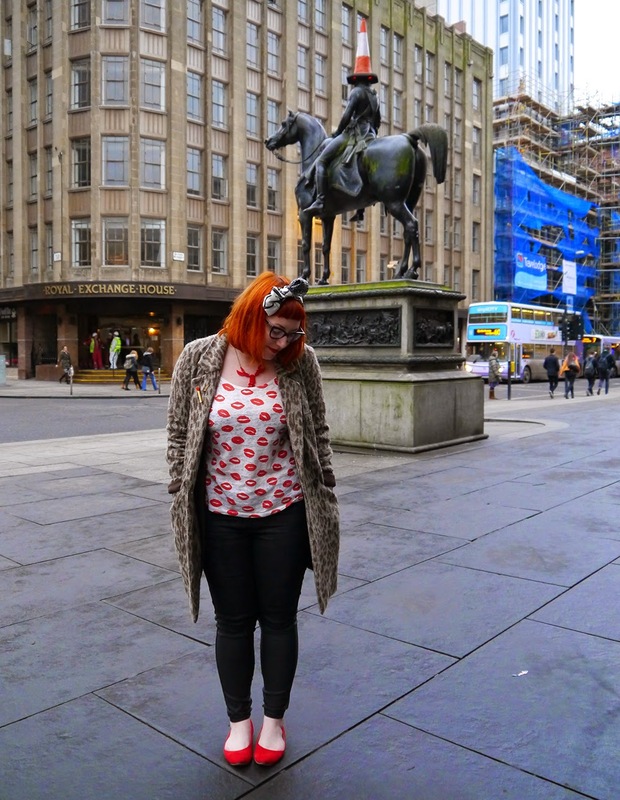 Talk about a multi tasking outfit- I wore this on a rare weekday off to run errands, jump on the train to Glasgow, shop, catch up with friends over coffee and head over to the Abandon Ship Apparel Kewpie Launch. It was laundry day so I threw this together and I wanted a pared down look- and comfy shoes!- to keep me warm all day. I forgot all about these cream shoes. They were a huge hit back in our very first post- the monochrome look. It seems like forever ago so I thought I'd dig them out again. I guess my ankle is healing because I wasn't hobbling, even at the end of the day. It was the same with the skirt- remember when I matched it to my nails last year? So fun, I had to dig it out. My beloved Naromode duck tshirt has been through the war- I'd wanted it for ages when I first got it last year, so I was devastated when I accidentally put it through a super hot towel wash and tumble dry after my first wear- shrinking it to child size. I've been meaning to replace it ever since but never got round to it. Hola, Wiki How To and its amazing tip to soak it in baby shampoo and tepid water to loosen the thread tension! I also dried it flat and gave it a cheeky tug every so often to get it back to correct shape. The armholes didn't stretch out but I have skinny arms anyway. I don't condone hand stretching items (it can stretch them seriously out of shape) but in this case it was a winner. And if it hadn't worked I would've cut it up to upcycle into something else. That print is too good to waste! My hair is currently a washed out violet and I am loving it with the crimp. Ghost hair! I think for 2015 we are all veering away from the My Little Pony brights towards a softer version of the pastel. For me it just won't stay in long enough to make it worth while and I love a granny rinse. I've gone back to good old Bleach London for this number and it works. 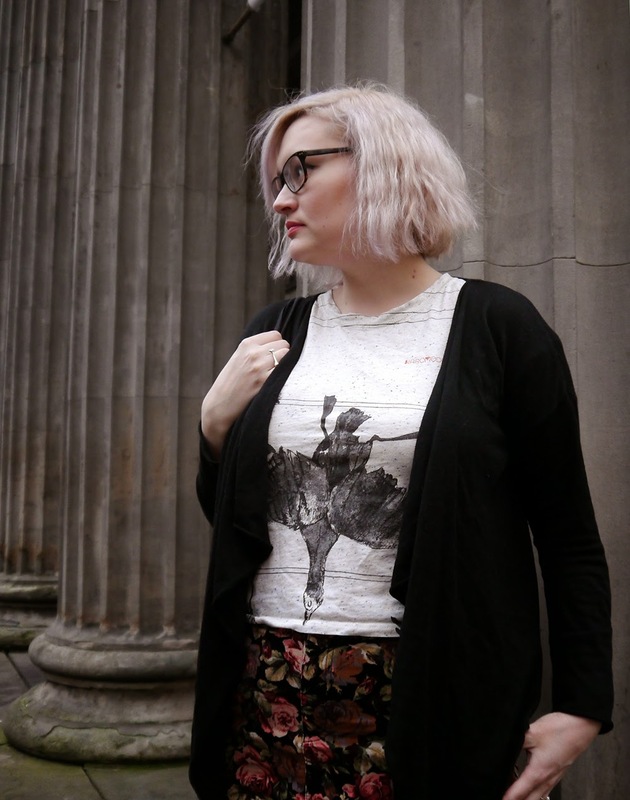 It has been fun pulling out old favourites for a comfy daytime look and it was a nice way to re-wear these items (and save my T!). Do you have any old faves you go back to time and again? 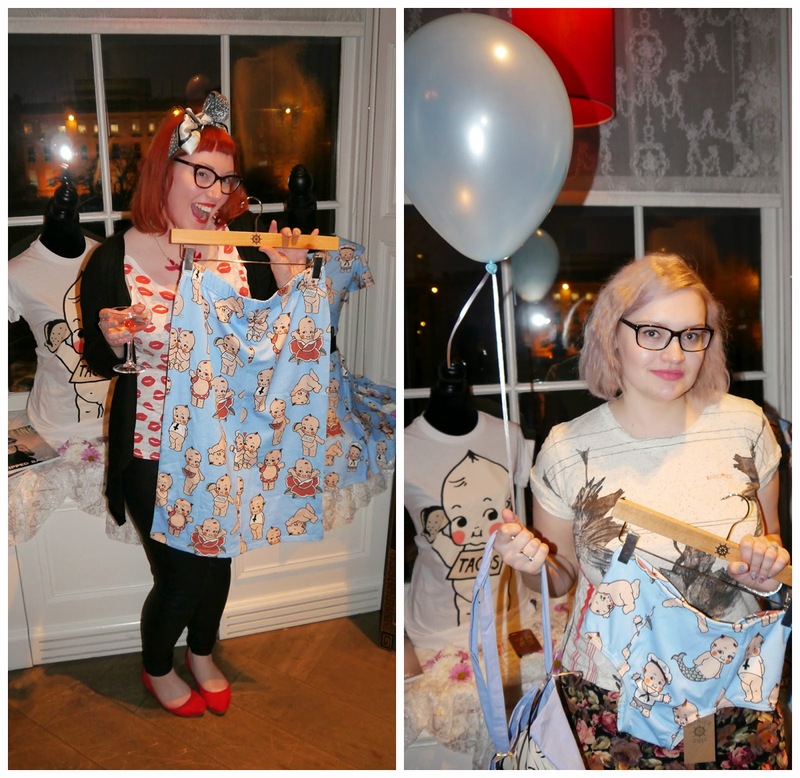 Last week we ventured westward for the launch of Abandon Ship's Kewpie Collection. 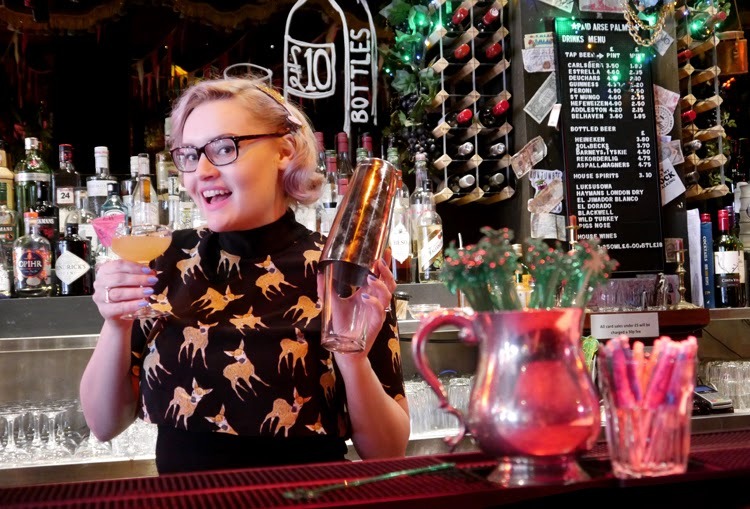 It was one of the first Glasgow blogger events we've been to and boy do they know how to do it right! It's safe to say we were spoilt rotten. Held at Blythswood Square it was an intimate gathering with delicious cocktails on arrival and lots of other trimmings. We were treated to hand and arm massages, making us feel very relaxed from the elbows down. Perfect after a day of traveling and trailing the shops and totally tempting us into booking our next spa day there. 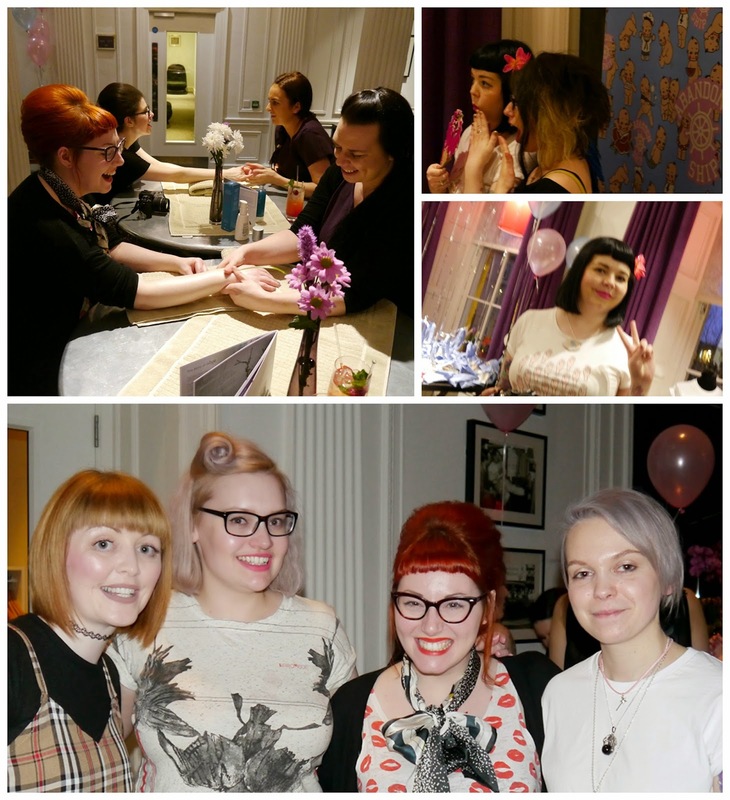 We also got majorly beautified by Cameo Bridal Styling who made our hair all pretty at super speed. Seriously, Lana is pretty much magic, creating a towering beehive in a matter of minutes from Helen's limited hair stock. It even lasted throughout the next day. So impressed! Sacha was also on hand to tart up our nails. 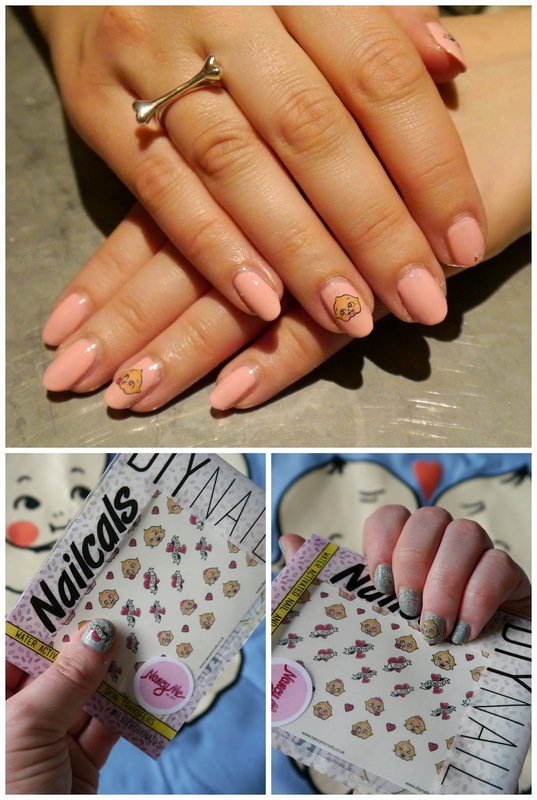 Adding some cute wee Kewpie decals by DIY Nails for the perfect finishing touch. 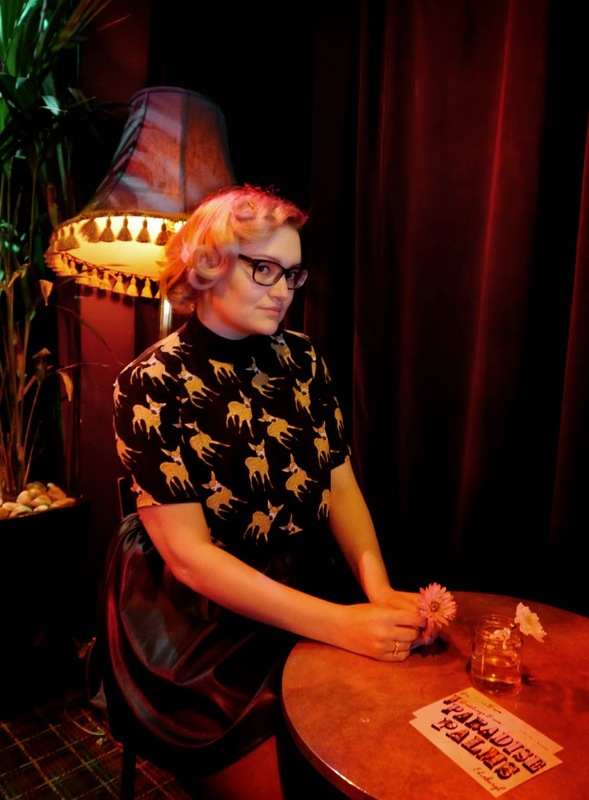 Bygone Photobooth were set up to capture it all and we couldn't help but take full advantage of their suitcase full of props. It was so nice to have some fun photo strips to take away. Anyway enough of all that, let's get down to the main reason we were there - the collection. Designed by Barbie Lowenberg of Longfox, the Kewpie collection takes these kitsch wee babies and gives them a bit of Abandon Ship edge. 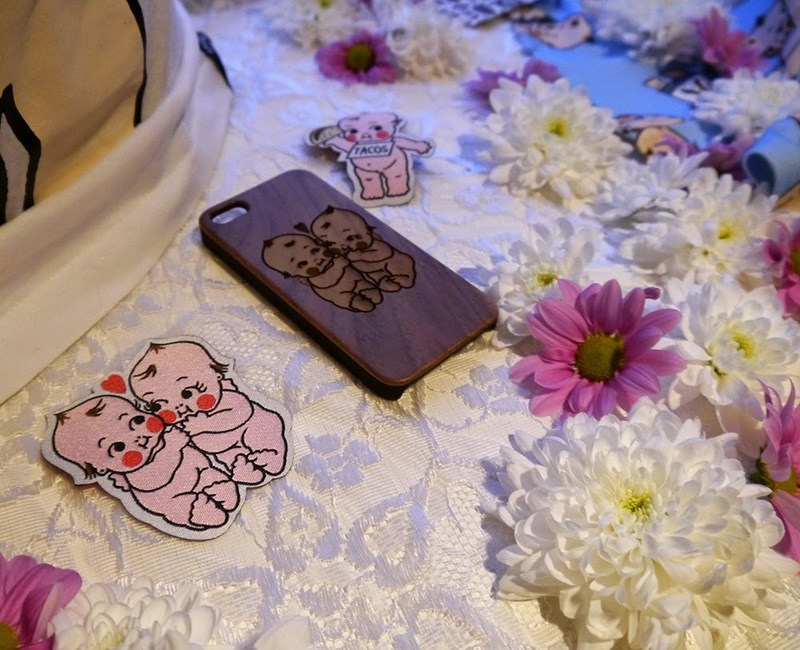 From pants to iPhone covers and patches to tshirts this collection has something for everyone and we love how affordable it all is, with a price range from £3 to £28! 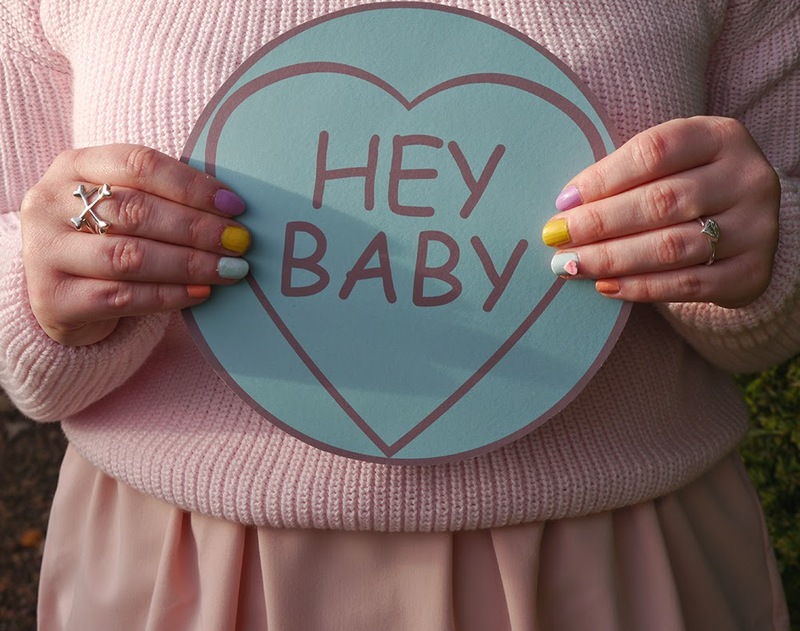 The print is adorable and we spent rather a long time picking out our favourite chubsters (Taco baby for Helen and trumping baby for Kimberley). The collection is available online and in the Glasgow store now. The highwaisted pants and pencil skirt are right up there on our wishlists. 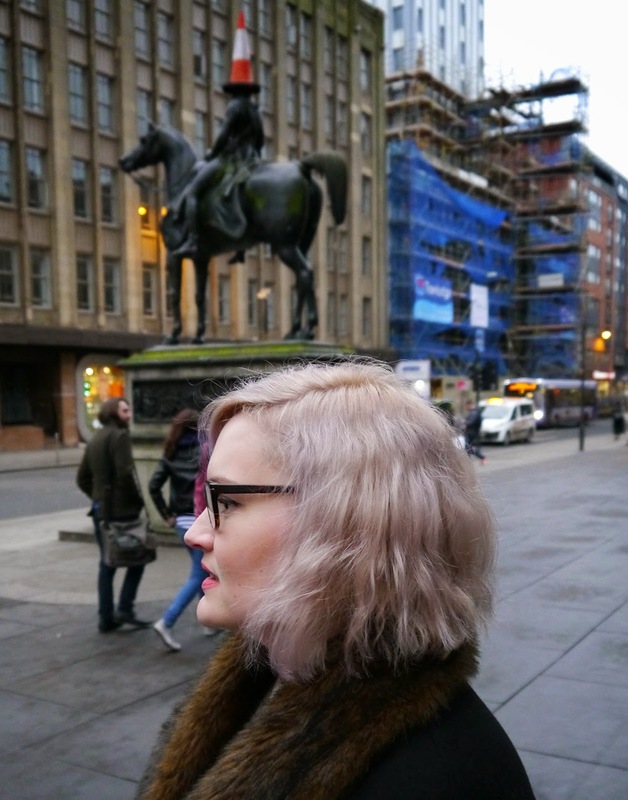 As well as all the fun of oohing and ahhing over the collection, we also had the pleasure of catching up with our favourite gal pals and meeting some familiar Glasgow faces such as Glasgow Fashion Girl, Lynnie-Bop and Little Blog of Horrors. It really was a fabulous evening and we can't wait to head back to the west side for more fun soon. 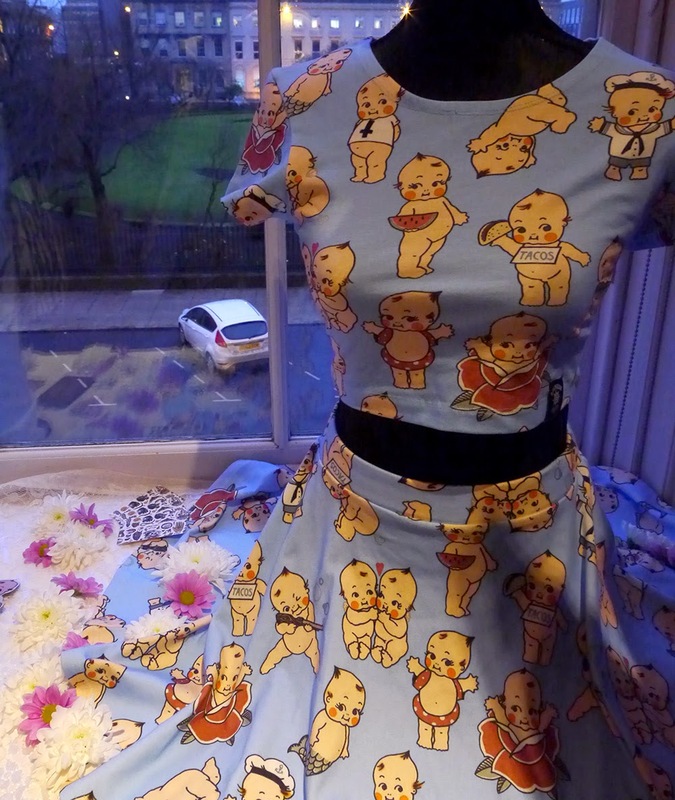 What's your favourite Kewpie piece? So, Valentine's Day is tomorrow and, despite this very festive outfit, I won't be doing anything special for it. Out of the two of us Kimberley is definitely more pro Valentine's. I'll usually buy a card for my other half but that's as far as it goes. With my birthday falling at the start of February I'm usually feeling rather spoilt and loved by this point. 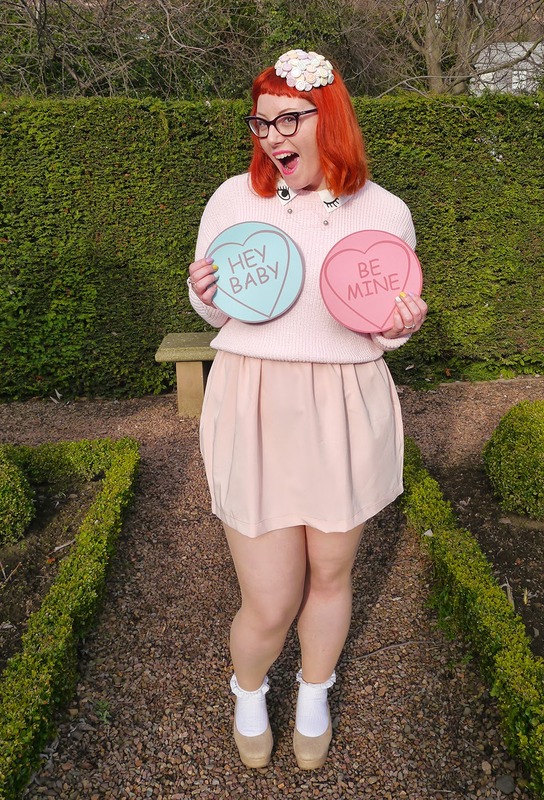 I do like dressing to a theme though, so when Kimberley suggested Love Heart sweeties as inspiration I went full steam ahead. I even got my DIY on, glueing a whole bunch o' candy to a fascinator base. Four whole packets of sweets to be precise. 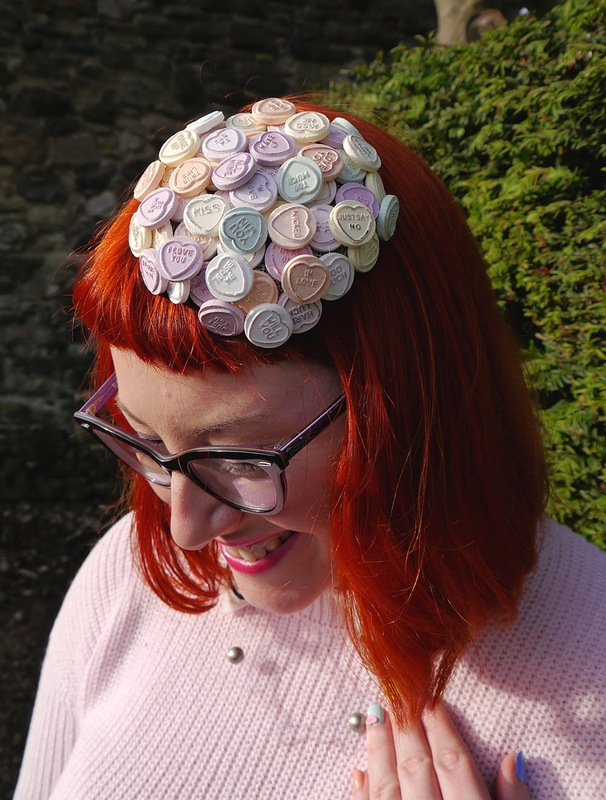 Which resulted in this sugary head piece, the perfect accessory to go with my sickly sweet outfit. It weighed a tonne but boy did it smell good! 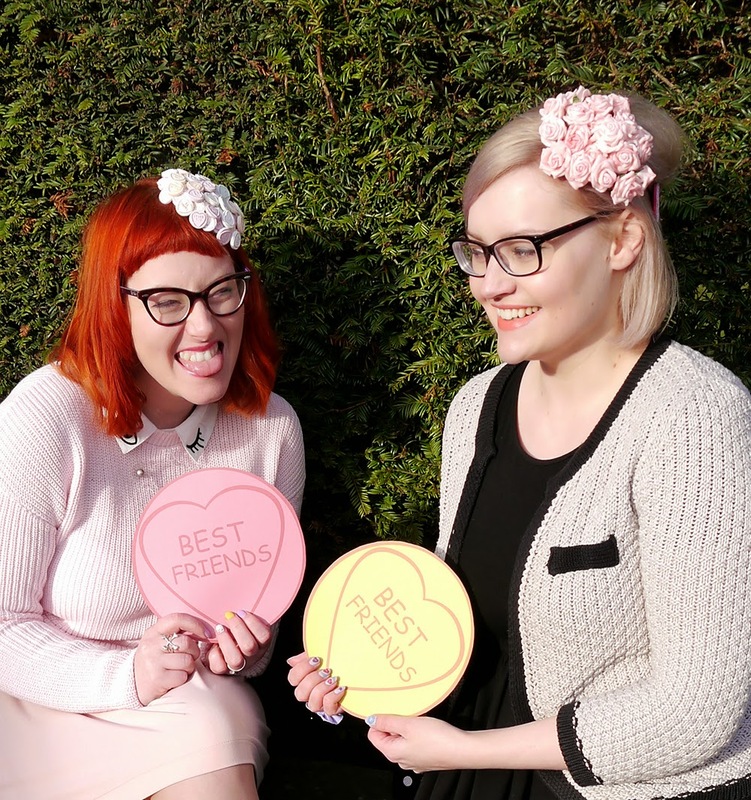 I also made a wee flowery headpiece for Kimberley so she didn't feel left out and printed us up some giant Love Hearts. Cheesy, but effective. I decided to go full on pink for the rest of my outfit. The jumper was a birthday gift from my sis, Heather. Seems my love of eye motif's is no secret. 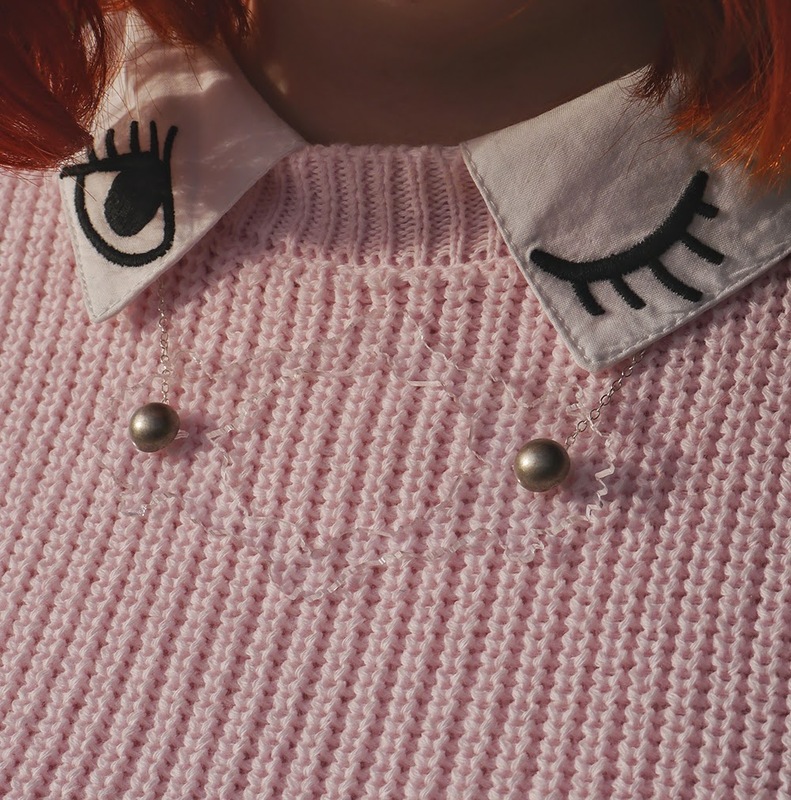 The collar is attached to the jumper but can also be detached. Expect to see it paired with everything else in my wardrobe very soon. The shoes are ones I meant to sell on ebay AGES ago. They're slightly too big but I finally found some heel grips that make them much more snug and stay in. My laziness pays off sometimes. 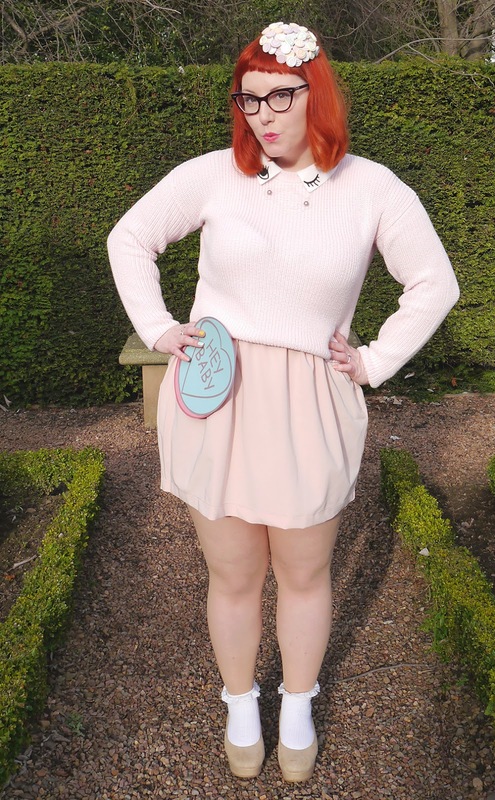 I added some frilly socks and pastel nails to really push the cuteness factor. The necklace was a part of what I got Heather for Christmas. Yeah, I got her a present that meant I got one too. It's the best way to buy gifts. I wrote more about this beautiful Charcot piece over on my Jolly Good blog, if you fancy finding out more. I've used this Valentine's Day as more of an excuse to treat my favourite ladies rather the man in my life. 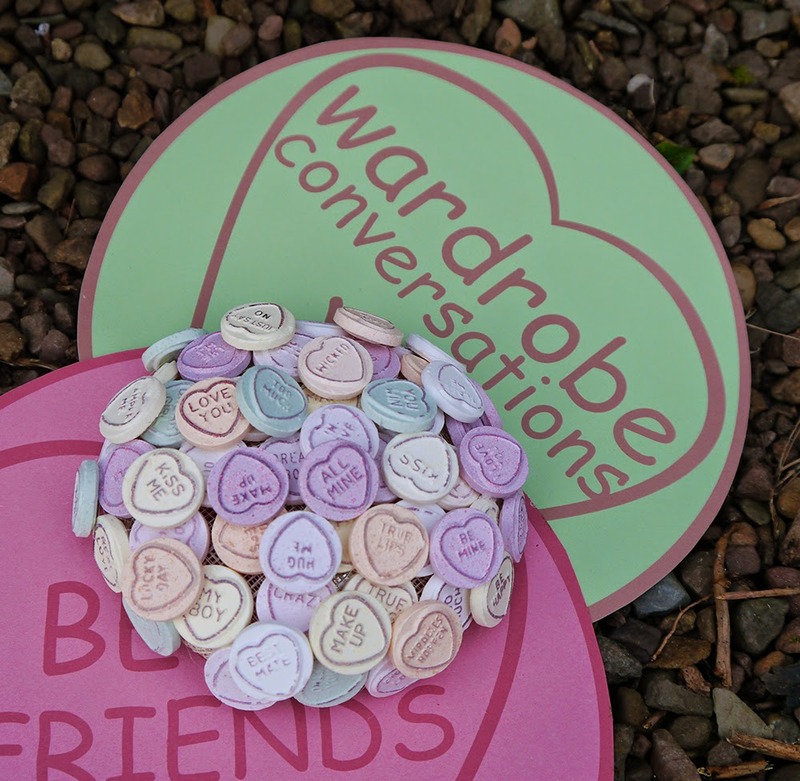 I believe Galentines is the term but I just enjoyed putting together some packages of sweets and jewels for my wee Girl Gang favourites. Who will you be treating this Valentine's Day? Thanks to Heather for snapping these super sweet photos.